There’s nothing like the searing sound and charcoal smell of a burning grill to get you in a festive summer mood. If you're looking for a gas barbecue grill, there are certain points to consider such as BTU power, space for cooking and quality of materials used for heat retention and easy cleaning. Weber comes to mind when gas barbecue grills are mentioned. There are practically many models to choose from such as the Summit Grill Centre with Social Area which is suitable for those with large spaces and for entertaining large crowds. 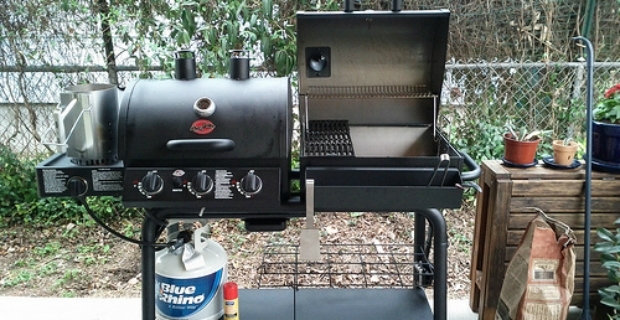 The gas grill is powered by a 27,000 BTU ‘dual ring side burner’. It is covered by 25-year limited warranty. The Spirit Classic and Original series are not also bad choices for smaller needs featuring 2-3 burners, folding side tables, and porcelain-enamelled grates. However, for the money, the Genesis line is a good-value purchase allowing you to cook at intense or slow heat. The main disadvantage of Weber gas grills is the price and some models are heavy to move around, but considering the warranty plus the performance when it comes to grilling, we’d say they produce some of the best gas grills that are in existence. 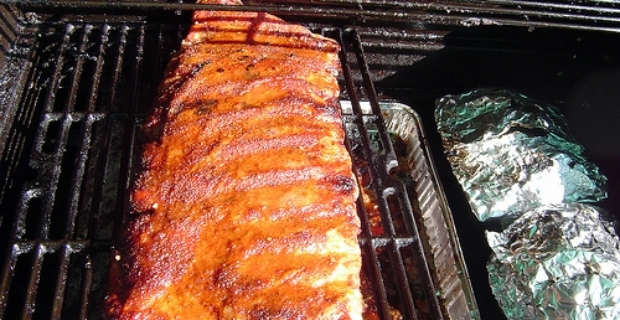 Landmann is another reputable brand when it comes to gas barbecue grills. From a single to a 5-burner gas grill, there is a model which is suitable for your needs, space and situation. The Avalon range consists of 4 or 5 burner models. There’s also a recessed side burner for cooking side dishes. Components are enamelled for easy cleaning and maintenance. It is possible to find something under £100 such as the Argos gas barbecue grill. Featuring 3 burners and fuelled by propane gas only, it has a warming rack, side burner, side table and can cook for up to 4 people. For £79.99 you get all the whistles and bells of the same kind of gas grill for less money. At the end of the day, deciding on a fancy or the bare bones version is a matter of personal choice which not only depends on your budgets, but also storage space and your intended use.